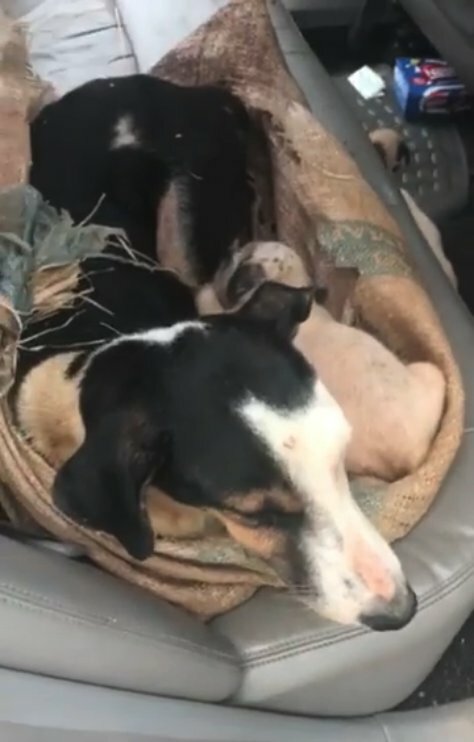 A mother dog and her puppies are lucky to be alive after someone cruelly dumped them on a remote dirt road tied inside a sack. 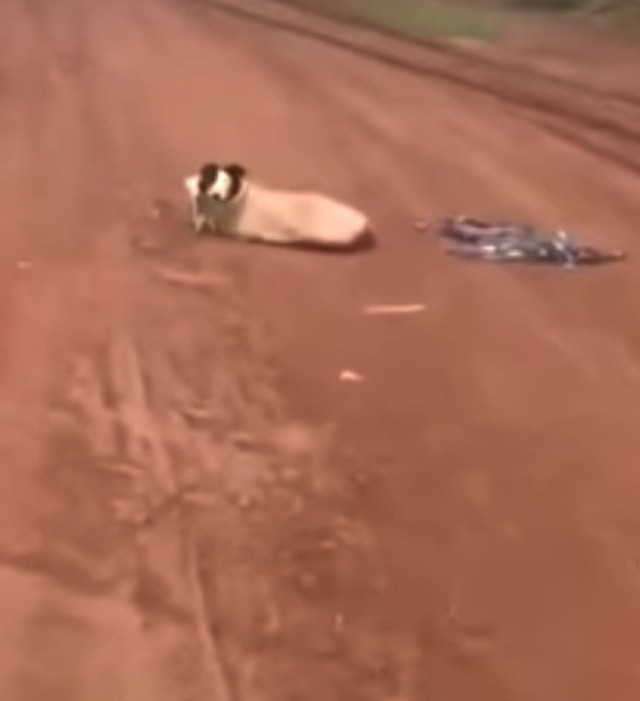 But thanks to a Good Samaritan who stumbled across them, their lives were all saved. 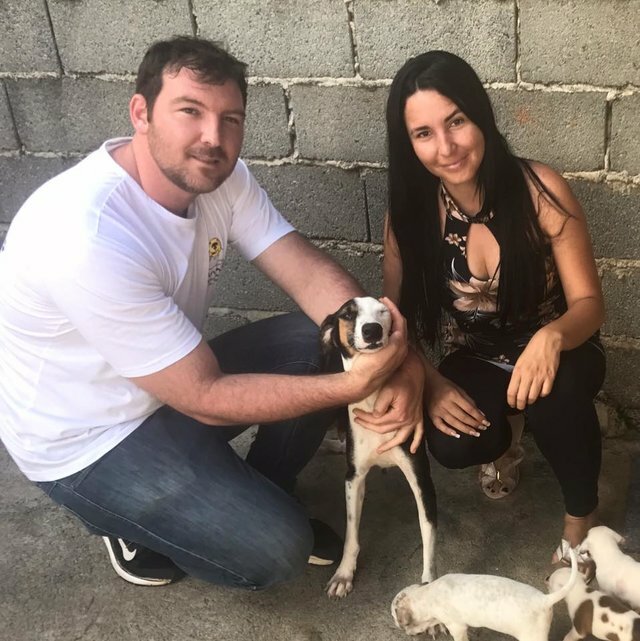 Josiane Almeida is an animal rescuer from Lagoa da Prata, Brazil and was alerted by the Good Samaritan who let her know about the desperate dog family. She and her husband immediately drove out to the rural road and filmed what they saw as they approached. Even after dealing with many animals from abusive backgrounds, Josiane was still appalled by what she saw. As Josiane approached the dog, the mama let out a low growl, no doubt frightened by her predicament. One puppy appears to have wiggled free of the sack and stood by her side. But three other puppies were trapped inside the sack with their mother. But they were about to be freed. 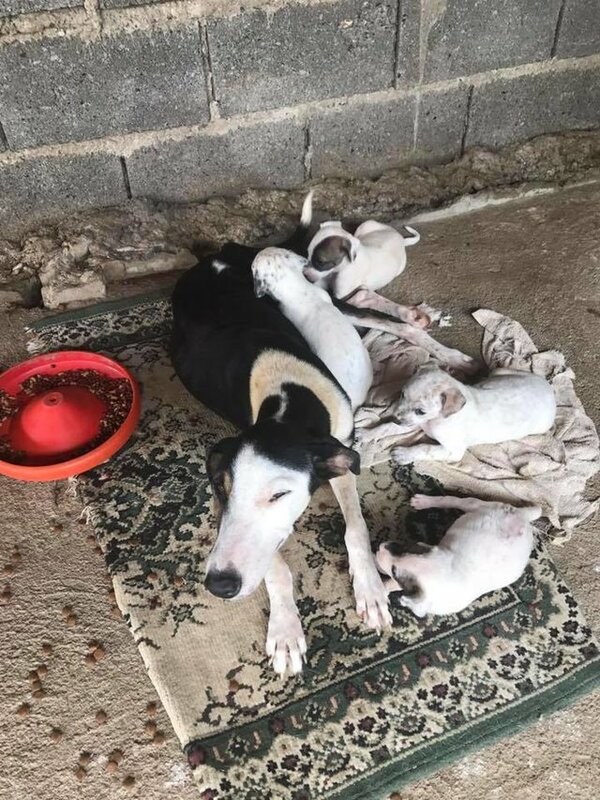 Josiane could tell that something was wrong with the mama and the puppies were hungry and weak. She brought the family home to give them water and food and to rest up. She later visited the vet who said that all the puppies were healthy but that the mother had a malignant growth – cancer. Josiane appealed on social media for help covering the costs of chemotherapy and her friends and supporters pitched in. The mama dog is now undergoing treatment and she and her family are being fostered by Josiane. When they are ready, the puppies will be put up for adoption. 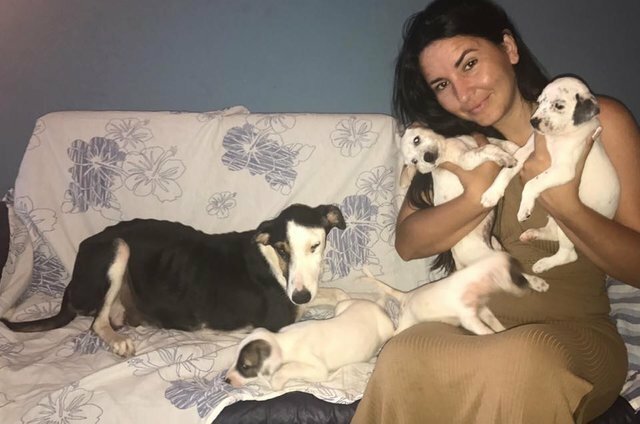 For Josiane, she is relieved that she is able to help the dogs.